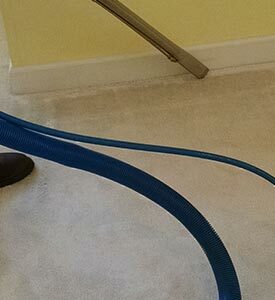 Carpet cleaning: We use a truck-mounted steam extraction method to remove years of dirt, dust, grime, allergens, pet hair, stains and odors from your carpet. This process is the recommended method of all major carpet manufacturers, so you can rest assured you’ll see an incredible difference in the quality of your carpet. Carpet repair: You don’t need to settle anymore for carpet that’s in bad shape. We offer professional carpet re-stretching and repair services to make your old carpet look like new again. Floor care: For commercial businesses, we can strip, buff or wax your concrete tiling, filling in gouges, eliminating cracks and adding an unbeatable shine. Tile and grout cleaning: Cleaning your tile and grout is a painstaking job, and can be impossible without professional equipment. Leave it to us to get your tiled floors looking like new again, even in bathroom and kitchen settings where they’ve accumulated hard water stains, mildew and more. 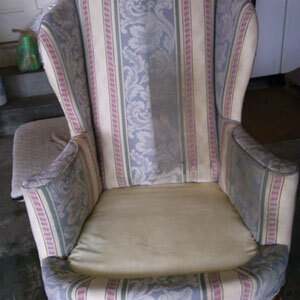 Upholstery cleaning: Our truck-mounted steam extraction method also works wonders for your upholstery, and is safe to use on all types of materials. Revitalize and extend the life of your couches, chairs, benches and other heavily used furniture with our professional steam cleaning. If it’s time for carpet cleaning in Morristown, TN, just call us today at 423-586-8015.